I will teach you everything you need to know (from the basics upwards) in order to catch bass by a variety of methods and in differing locations. Finding the right type of ground is essential to catch Bass consistently – I will highlight exactly what to look for, so that you can find your own marks in the future. Which lure and how to use it correctly – choosing the correct lure to suit the conditions and terrain is critical, as is knowing how to effectively utilise or ‘work’ them in order to catch bass. Watercraft – the art of determining how certain types of marks react under certain types of weather/sea/tidal conditions. Friendly, professional and determined to put you onto the fish – these sessions are purely about your experience, learning and success. I will not fish myself – my undivided attention is dedicated to you throughout the entire session. Over 20 years of ‘one to one’ instructing experience from my previous profession. Extensive Search and Rescue experience. Fully Insured (public liability to £1million. Health and Safety (Risk Assessor) qualified. 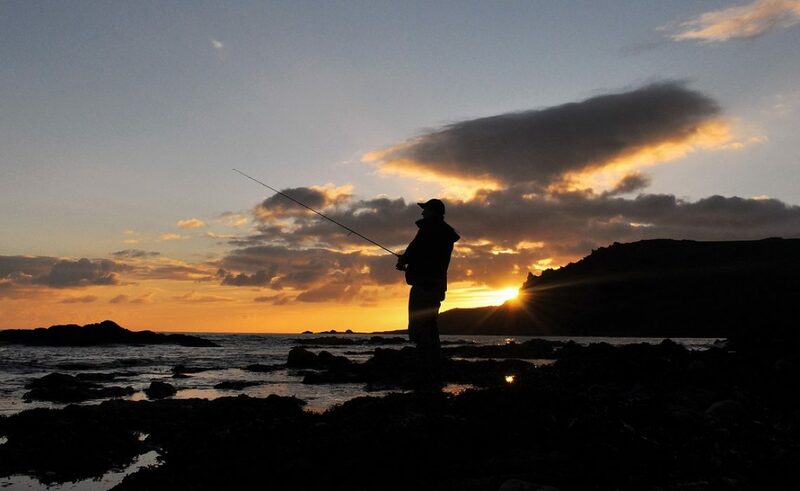 A Guided Service from 1 Apr – 31 Jan.
Equipment – full use of rods/reels/lures/waders (included in the price). Tuition on casting if required – in order to maximise your chances of putting the lure/bait where the Bass are likely to be. Lure choice – advice on determining when a surface lure, weedless soft plastic, paddletail or sub-surface lure is suitable. A picture of that prize bass and the day itself – I will take photographs and email them to you (Share via Dropbox if you wish) for your own use.